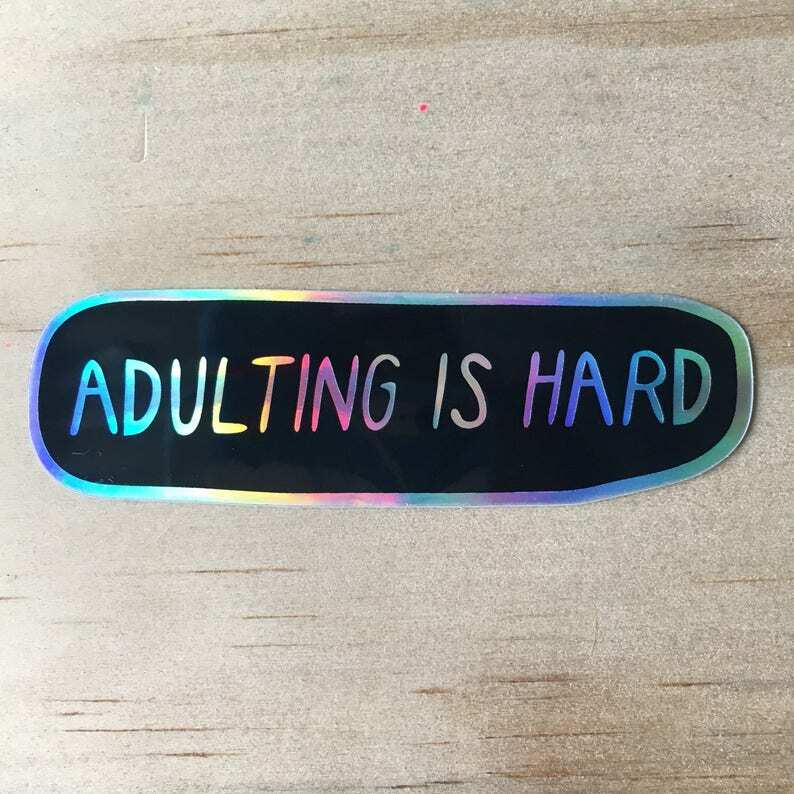 1”x3” holographic sticker. Stick them on stuff! Darren! My next purchase will be that I love you this much pillow! Looooove your stuff! Thank you thank you! I need a million more so I can plaster them all over! Love the little extras that came with it like a card with envelope and a post card! Thanks and I’ll be placing another order!